Nature has blessed us with scenic mountains, hills, rivers and lakes yet, we spend most of our time living amidst sky-scraping buildings, the bustling traffic, the annoying by-passers that take a toll on our mental health. We all need an escape and if you live in Bangalore, you are just a few kilometres from that ‘peace of mind’ you are looking for. Pack your bags, hit the road and reach your destination where you can have more than enough of nature. Trek up misty mountains, take a stroll amidst nature or just camp in the wild. Let mother nature take care of you. 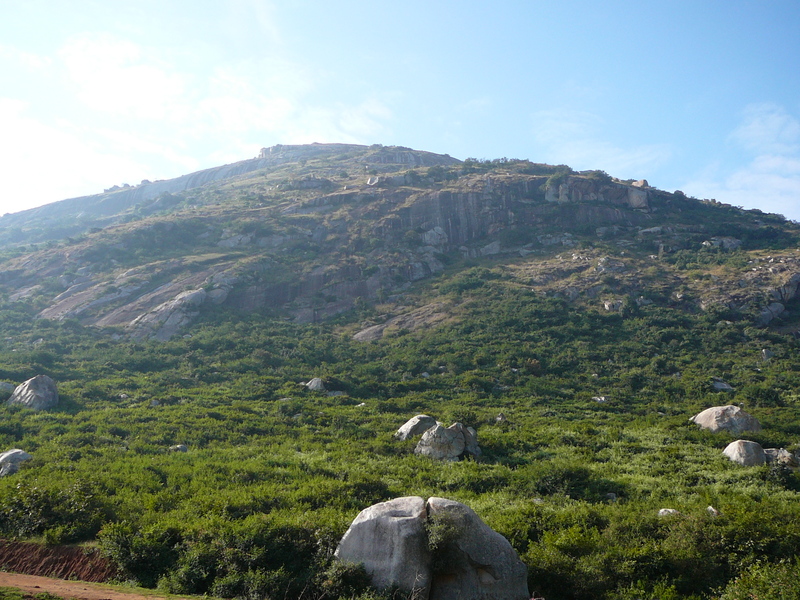 Ramanagara is one of the most popular trekking spots around Bangalore.It is located about 50 kilometres from the main city and the entire landscape is covered with rocky hills and valleys. This is the very place where ‘Sholay,’ the box office blockbuster was filmed. 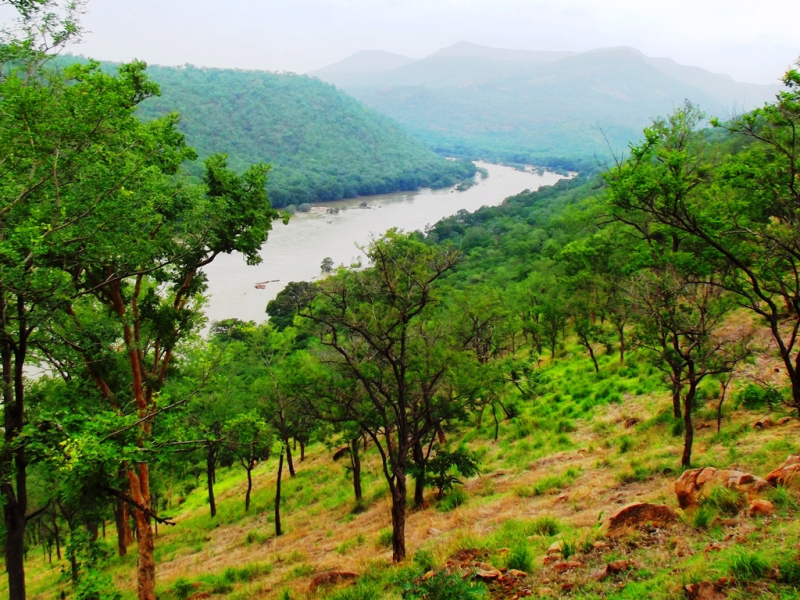 The land of Gabbar Singh holds appeal with vegetation scattered over the place .Ramanagara is also famed for sightings of some highly rare species of birds such as the Long Billed Vulture and Yellow Throated Bulbul. The trek is not way too challenging as compared to other trekking spots around Bangalore. The peak not only has a panoramic view but, also has an enchanting water body . Don’t forget to try the ‘Thatte Idli’ sold by many mobile vendors. This should definitely re- boot your system after the trek. Skandagiri, located around 70 kilometres from Bangalore is 2 hours drive from the city. Offering a bird’s eye view of the sky and the land beneath, this 8 kilometres trek is made up of rugged terrains and can be completed within 4-5 hours. Skandagiri is notorious for its creepy night treks.The climb is a fair challenge till Papagni temple. It soon gets a little tricky as the walls of the ancient temple test you with many challenges. The trek up the peak could possibly be a struggle but, the view at the peak is worth breaking sweat. To reward yourself, you could unwind with a bonfire, avoiding stinging kisses from the freezing breeze. Carry a sleeping bag if you really want to get super comfy. You don’t need to trek by yourself. Guides are always available. If you ever plan a trip to Skandagiri and you don’t have a guide for your night trek, leave to the hills at 3 or 4 am to witness the mesmerizing sunrise! Assumed to be one of the largest pieces of single rock formations in Asia, Savanadurga hills are located about 60 kilometers to the west of the city of Bangalore. This hill is a whopping 1,200 meters above sea level and is also considered to be a part of the Deccan Plateau. Savanadurga is definitely an ideal place for trekkers and camping frenzies for an enlightening and adventure filled experience. The Billigudda and the Karigudda are the two hills within Savanadurga. 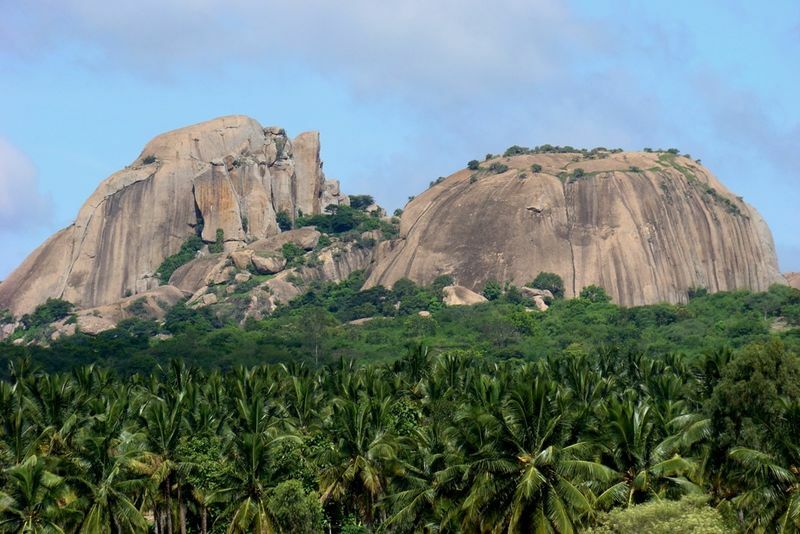 Between these two massive rock formations lies Ramanagara. Rock climbing is one more thing you could try if you have the right equipment. As you trek up the hills of Savanadurga, you also come across the ruins of a majestic fortress, which was built by Kempe Gowda II and later occupied by the legendary Tipu Sultan. Antaragange, literally means ‘Ganges from deep’ in Kannada. Located amidst the Shathashrunga Range, Antaragange is a pure example for nature’s work of art, around 70 kilometers from Bangalore. This stony series of hills is an ultimate experience; the thrill of caving and the day/night trekking. The trek is about 4 kms and would take you around 3 hours to complete. For all you Steve Irwins out there, you are likely to encounter snakes, sloth bears and monkeys along the route. Secure your bags and food packets. The monkeys fancy junk food. Do read up on how to tackle animal encounters without harming them before you make this trip. If you plan a night trek, the rocks grow cold at night. Hence, it is advisable to carry a thick jacket and a bright torch on the trek. The night trek takes about 6 hours, allowing short rest stops on the way. Carrying a tent up the hill would be ideal. On a clear day, one can see the lights of Kolar town from the peak. With a landscape that appears green up to the horizon, Bheemeshwari is a trekker’s paradise. Situated at a distance of about 100 kilometers from the city, away from civilization, this region is blessed with blossoming greenery and calm waters of River Cauvery. The picturesque place is just perfect for a stroll through nature. But if you are an adrenaline junkie, you could also indulge in trekking and other exploratory activities. This massive green patch exhibits a wide range of flora and fauna and is also perfect to spot some rare species of birds and other creatures. The terrain is comparitively gentle with rocks scattered around the region. Of course, there are a few slopes for all you trekking enthusiasts.